Click here for 10 full quotes from Sarah Palin in the book OnTheIssues interview with resident of Wasilla Alaska. Anne Kilkenny, a self-described "civic-minded resident" of Wasilla, AK since 1982, provided many insights about Governor Palin during a wide-ranging 90-minutes phone conversation. After Governor Palin was announced at McCain's V.P. pick, Anne wrote a long email about Sarah Palin that went "viral" around the country. One reason she did so is that she does not know anyone in the entire state of Alaska with whom the McCain campaign talked before picking Sarah Palin as his running mate. Program of $1,200 to every Alaskan: spent on consumer goods. Crowning achievement: Alaska Gas Inducement Act. OpEd: Didn�t comment on foreign policy as mayor or governor. Alienated legislators by line-item-vetoing their projects. OpEd: Vetting process for V.P. included no one in Alaska. Known to Wasilla residents as personable multi-tasker. OpEd: Core values defined by political ambition plus church. OpEd: Popularity hurt by Troopergate and at-home per-diem. Embraced �City of Character� religious program as mayor. 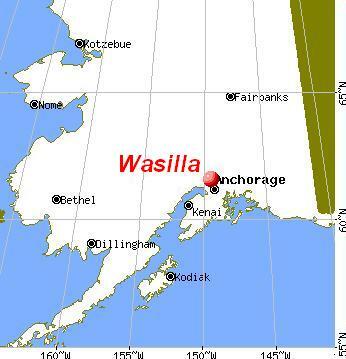 OpEd: Neglected Wasilla infrastructure; left with $22M debt. The above quotations are from Phone interview with Anne Kilkenny, civic activist from Wasilla AK.